I saw this on a shelf and had to get some as my last review of North American beers were all from Chicago, and Argus just missed the cut in my six-pack review due to availability issues. Argus is a Chicago based brewery and has been around since 2009. They bring a very interesting Common Style in their Ironhorse offering. Dubbed a Chicago Common I couldn’t resist. 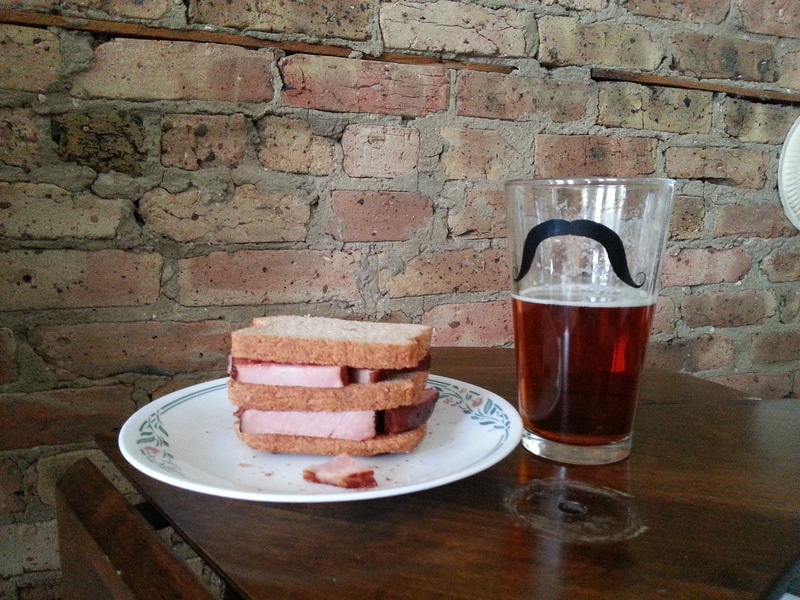 I really enjoyed this beer and it went supremely well with my enormous ham sandwich. The spicy of the yeast with the sweetness of the strong malt character paired perfectly with the cloves, brown sugar, and Southern Comfort that basted the Canadian bacon. 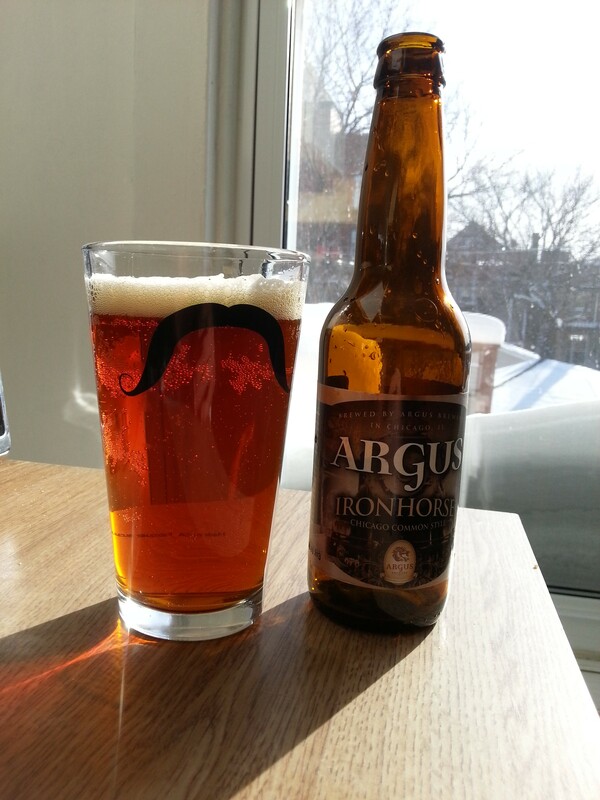 This has been an extremely drinkable beer and I’m going to keep my eyes out for the other Argus brews.